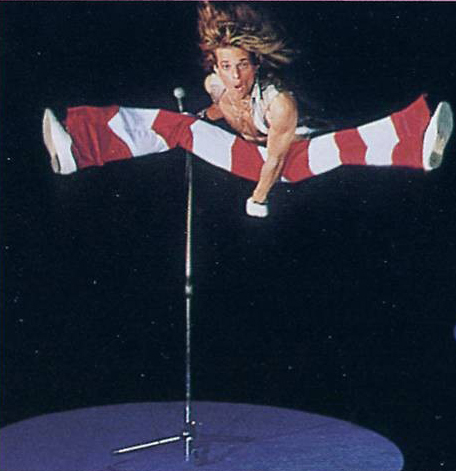 On the back cover of Van Halen’s Van Halen II, David Lee Roth is pictured doing his trademark splits in mid-air while holding his mic stand. Rumor has it that Roth actually broke his right foot after the photo was snapped by accidentally landing on the bottom of the microphone stand. 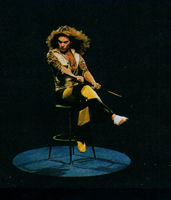 A photo of a bandaged Diamond Dave sitting on a stool was also included in the inside the “Van Halen II” album. 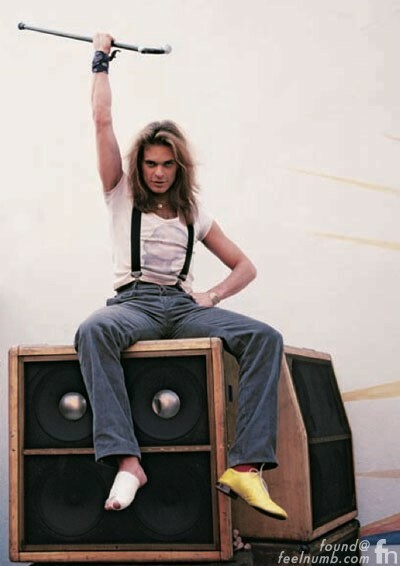 Here are a few more David Lee Roth broken foot photos. Why Are Keith Moon And David Gilmour Wearing The Same Dallas Cowboys 56 Shirt?? ?